Occasionally it takes some time, but we try to get around to every place that has been recommended to us. 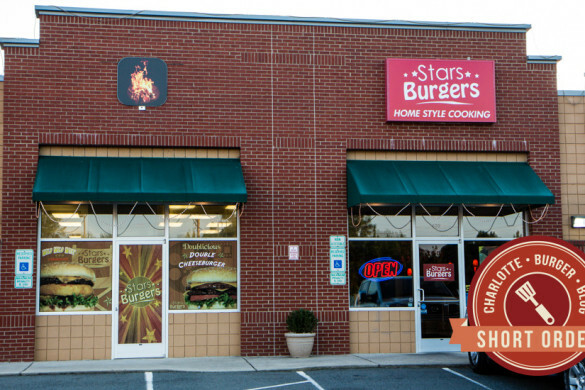 A while back, Stephanie 1 from Harry’s Grille & Tavern invited us to stop by and try some of their burgers. 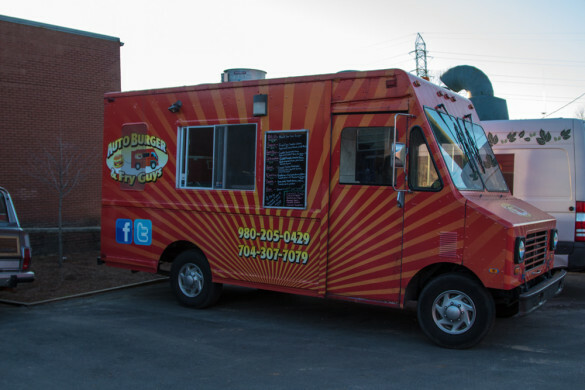 She told us their chef and general manager were really taking their burgers seriously, trying to create the “best” burger in Charlotte 2. Harry’s is in “The Town” of Arsyley, off of South Tryon. As I’ve said before, this is a pre-planned neighborhood, brought to fruition all at once from a development company. It’s not as home-y as it was planned, and always seems strange to me when I visit. It’s the uncanny valley of neighborhoods. I was excited when I sat down to order, because they have daily specials for burgers 3. Although they all sound delicious, most of these are common burger variations—the Black & Bleu, the Southwestern, the one with the egg on top. But the special for Friday particularly intrigued me, a Caprese burger with mozzarella, pesto, tomatoes, and spinach. This was a combination that I had yet to encounter, so I really wanted to order that. Unfortunately, it wasn’t Friday. It was Saturday, so I was unsure that it would be available for me to order. I asked the server, and she said it would be fine, I would just have to pay “the normal price for it.” No Problem. First, the special, Friday price for this burger is $10. The only burger on the proper menu is priced $15, and I assumed that’s what this would cost. When I later got the check and discovered it was only $12, I was happy, especially that included the cost of sides. For a true gourmet burger, I don’t think that’s a bad deal. Second, the server failed to ask me how I wanted my burger prepared. This is always disappointing. 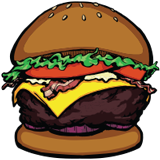 Burgers, or at least gourmet burgers should be treated as steaks and should be prepared according to personal preference. 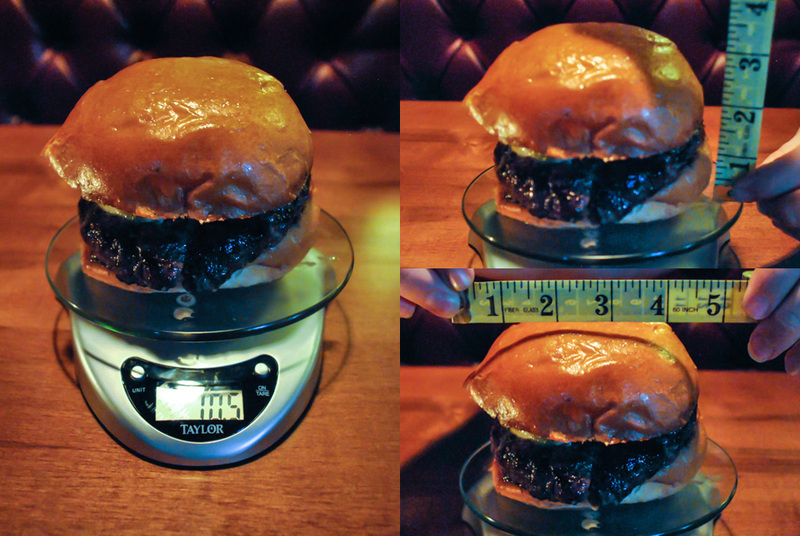 My burger came out exactly as I like it—medium—and I considered myself lucky. I was beyond lucky when I realized this was one of the best burgers I’ve tasted in a while. 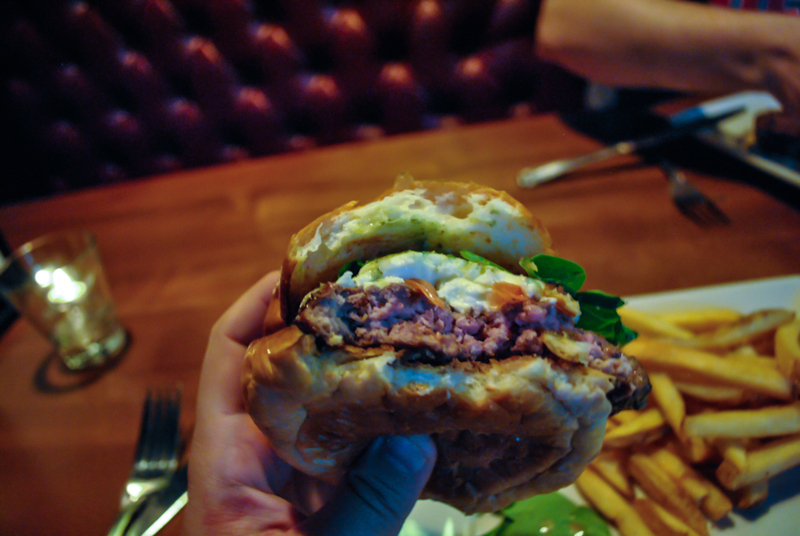 The all-star of this burger was the mozzarella, which was fresh and thick and incredibly tasty. Take a look at that thick slab of cheese on there. It’s like a second patty. Beyond that, the spinach was a great addition, and should be used more often on sandwiches. Better flavor than other lettuce options, but still provides a crunch. And the pesto was an excellent accent to the other flavors. This is seemingly a simple design for a burger. It’s basically a burger with a salad for toppings, but I thought it was fantastic. Again, I don’t believe in using the “B” word, but this is up there. 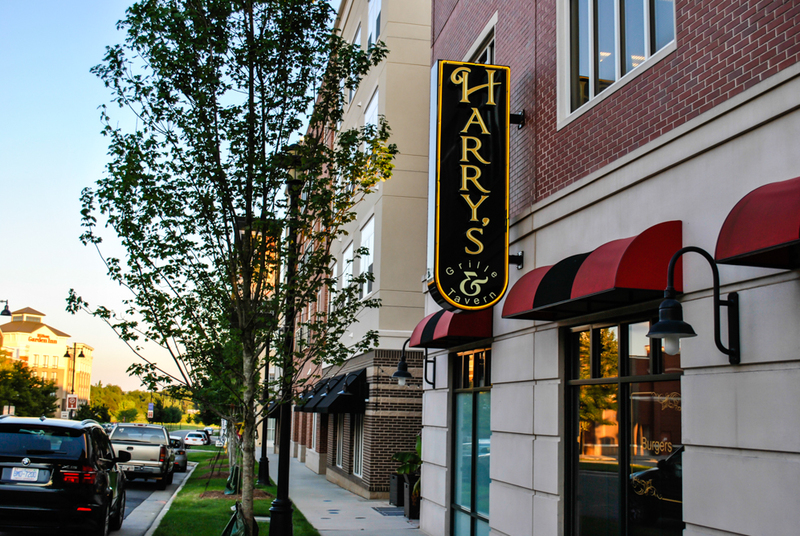 Harry’s is an upscale restaurant, and they serve upscale food. In addition to burgers, they carry steaks, such as the 12 oz Bacon Wrapped Saratoga Ribeye, as well as a 10 oz Pan Seared Bone In Pork Chop and a Bison Bacon Cheddar Meatloaf 4. 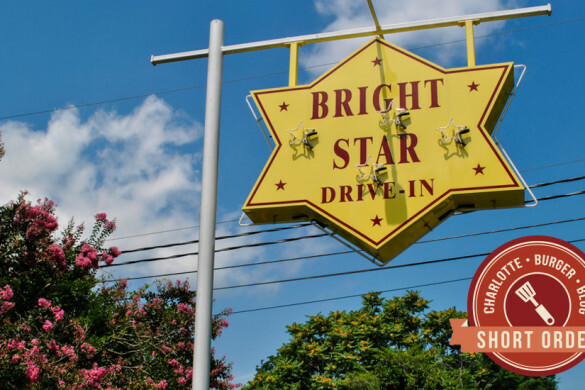 But they’re not so upscale that they call their french fries “pomme frites.” They just call them french fries. 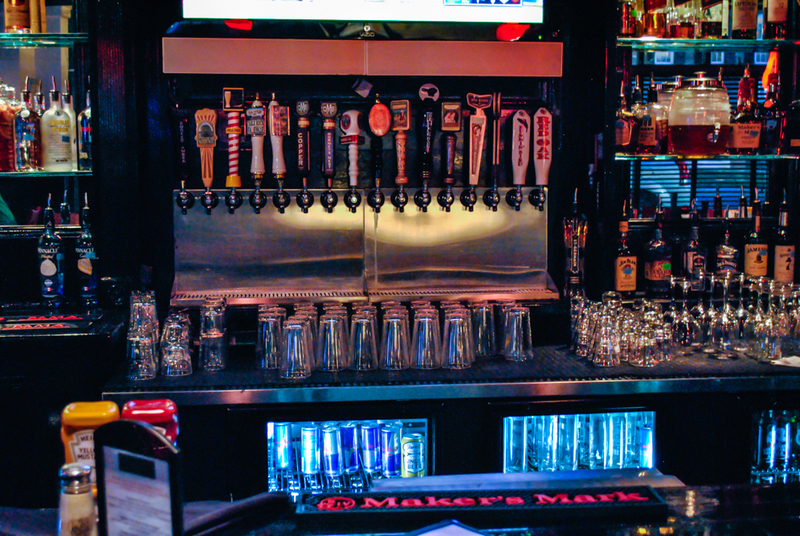 Harry’s has 16 beers on tap, the vast majority of which are Charlotte and NC selections. Olde Mecke, NoDa, Highland, Mother Earth, Big Boss, and Red Oak were all represented. If only the server had asked if I wanted another beer before she brought me the check, I would have sampled a few more of them. 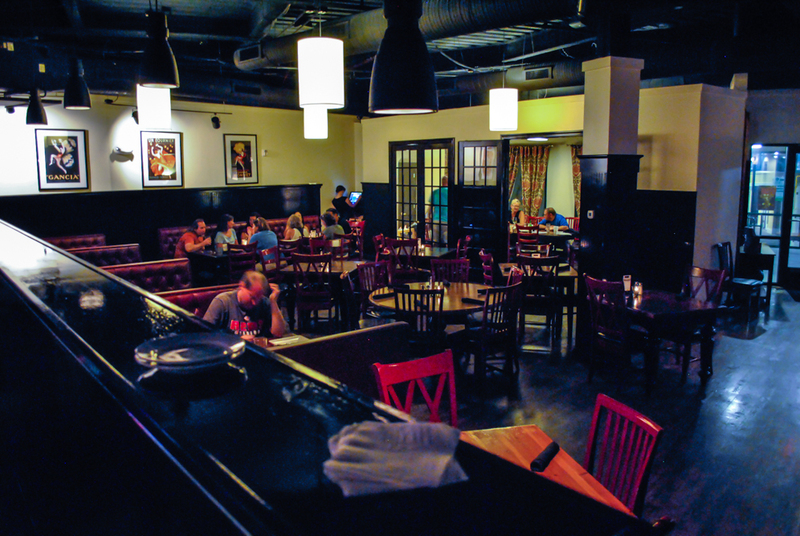 There are two separate areas in Harry’s, a dining room and a bar area. The bar area is a step above the dining area. Literally, the bar area is raised. Both were fairly empty when we stopped by, as you can see in the picture. I feel like I have a habit at stopping by these places at non-optimal times, and sometimes that hurts their atmosphere rating. Restaurants are just more fun when people are there enjoying themselves. Absolutely. I can’t wait to try some of the other burger specials. 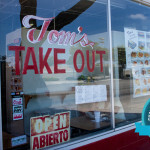 When you come by next time, what will you get? Um, I think I already answered this. But I want to try that Bison Bacon Cheddar Meatloaf too. 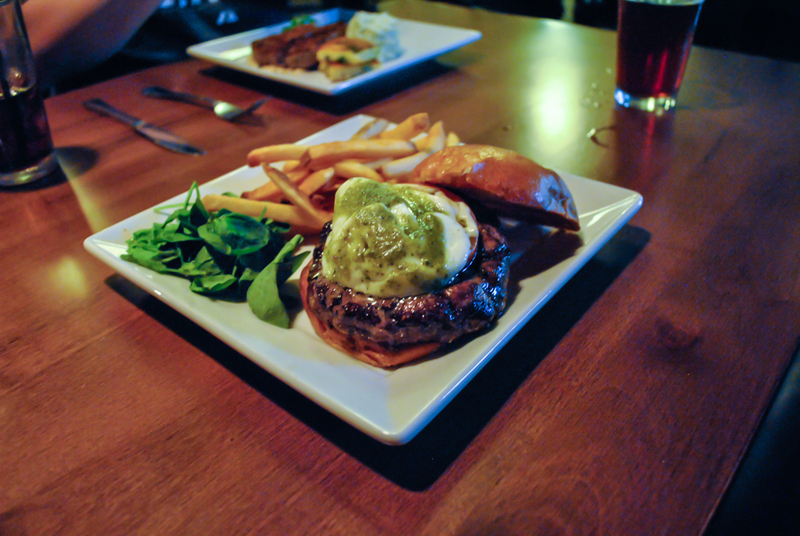 Does Harry’s Grill and Tavern earn the Charlotte Burger Blog Seal of Approval? 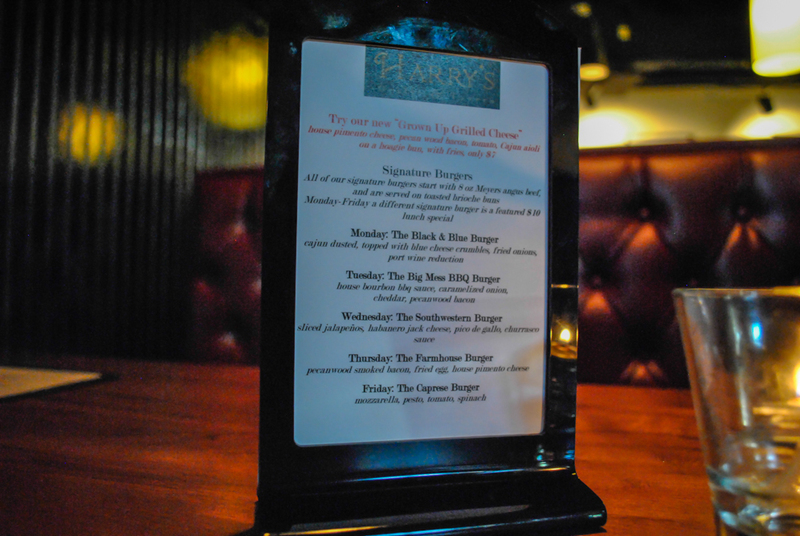 Harry’s is now on the short list of my favorite gourmet burger places in Charlotte. Ever since I’ve gone I’ve been recommending it to people, and that’s ultimately what the Seal of Approval is about. So….yes.